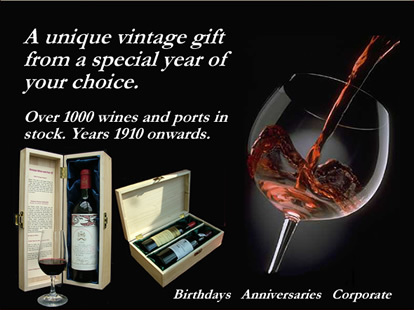 No vintage ports were produced in 1973. The 1973 wine vintage was a good one for Italian wines from Tuscany (Chianti and Brunello) and fair for Piedmont (Barolo and Barbaresco). Spring was mild and the summer hot and dry, but the run in to the harvest was wet and many producers were faced with the problem of either picking early with low sugar levels or risking the harvest by waiting for the weather to improve. A big harvest year, the best wines were produced by those vineyards that adopted careful selection. The 1973 wine vintage produced an enormous crop of easy drinking wines full of succulent fruit. The best examples from vineyards that adopted good selection are still drinking well today, although wines from Pauillac and Graves stand out. The weather was dry and warm throughout most of spring, providing good conditions for flowering. Heavy rain fell during much of July, but the month that followed was hot and dry. September began fine, but wet conditions returned from the middle of the month onwards. Barolo is known as the 'king of wines' and is made from the Nebbiolo grape. Heady aromas of rose, leather, vanilla, cherry, pepper, cranberry, strawberry. The Calon Segur '73 is still very drinkable with wood, some earth and taste of "sweet-sour plum juice". Very pleasant. Fully mature nose with leather and cedar notes. The palate is cedar, pencil-lead with marked acidity and medium length.